The Laser Compact 2 Tent is the latest model from Terra Nova. 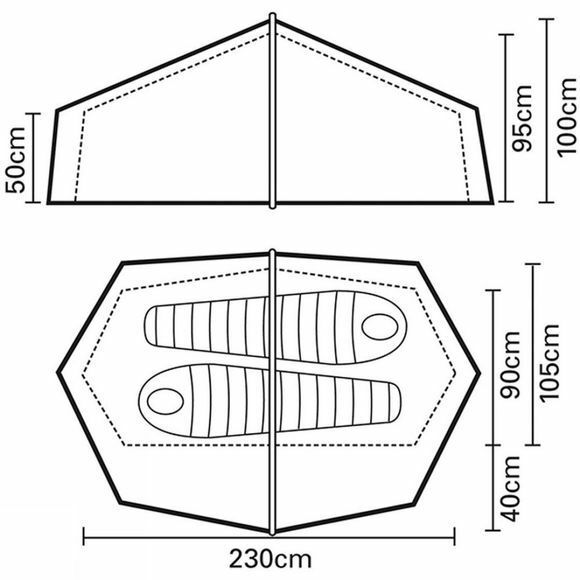 It is based on the popular Laser Competition 2 tent but has one key difference – it has a packed length of just 30cm. The short, compact pack size makes the tent incredibly versatile and allows it to be carried with ease by bike packers and cycle tourers. The tent design, which provides a good balance with durability and low weight, is already popular with mountain marathon participants and backpackers. At the front of the Laser Compact 2 there’s a good sized porch for storage, access and ventilation with an additional door at the rear of the tent to reduce the hassle of getting in and out. Inside mesh ventilation panels at either end of the inner facilitate airflow and help with condensation. The tent comes with a DAC main pole and alloy end poles. 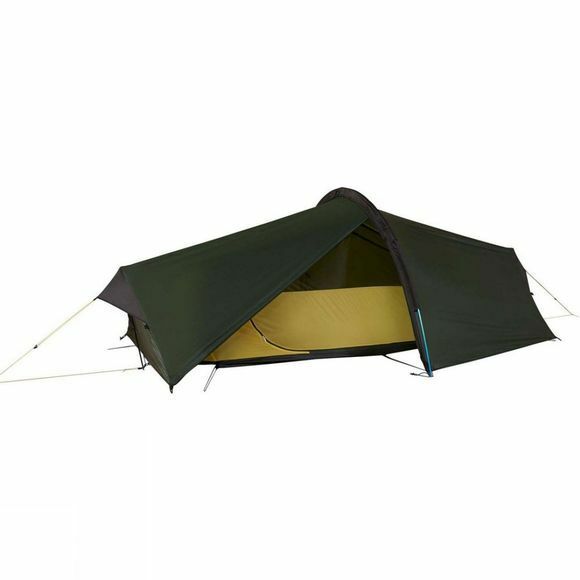 The groundsheet is Terra Nova Watershed ripstop with 6000mm HH and flysheet is 20 denier Watershed ripstop with silicone coating on both sides and 5000mm HH. As the silicone coated flysheet fabric cannot be seam sealed conventionally, the tent has been cleverly designed to prevent water penetration into the inner of the tent. The end flysheet seams have been positioned so they are not directly over the inner and a removable waterproof pole cover is supplied with the tent to ensure the main seem is fully waterproof. This also offers additional protection to the zip and stability in poor weather. The groundsheet however is seam sealed for waterproof protection.